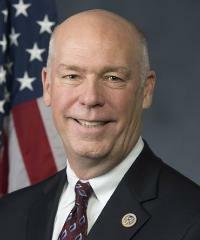 Greg Gianforte is Montana’s at-large US Congressman. He was elected to that office in 2017. Gianforte says national monument designations are “large land grabs.” He says he supports the Land and Water Conservation Fund (LWCF). Gianforte’s spokesperson says he opposes the transfer of federal public land to states. Gianforte welcomes the Trump administration’s approach to sage grouse plans and voted to defund enforcement of the methane rule. Greg Gianforte expressed confidence congress would increase Trump’s low budget request for the Land and Water Conservation Fund (LWCF). Greg Gianforte’s spokesperson said he opposes the transfer of federal public land to states. Greg Gianforte welcomes Donald Trump’s approach to sage grouse plans. Greg Gianforte voted for an amendment to defund enforcement of the methane rule.